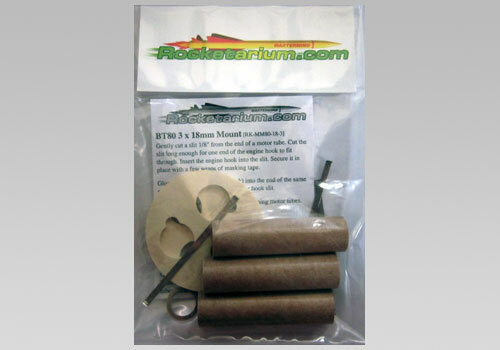 Use these kits to build model rockets that fly on a cluster of engines. If you think a rocket flying on a single engine is cool... how about two, three, or even four rocket motors being fired at once? 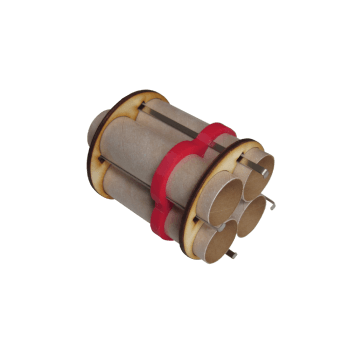 Cluster motor mount kit to fit two 18mm motors into BT60 body tube. 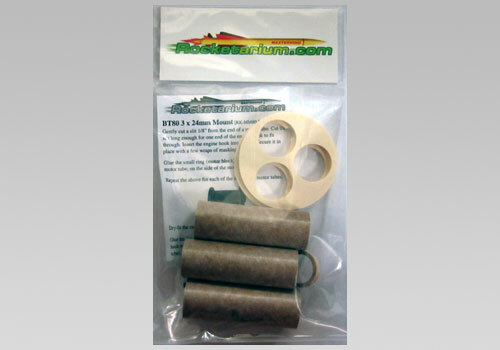 This kit includes plywood centering rings, two engine tubes, two engine blocks and two engine hooks. Cluster motor mount kit to fit three 18mm motors into BT60 body tube. 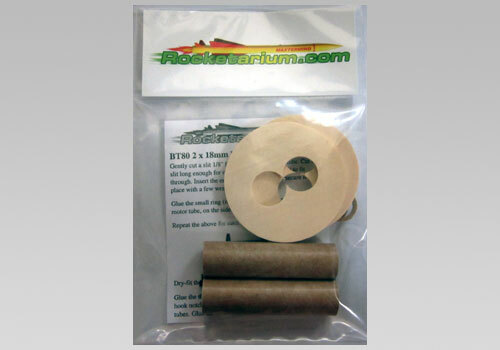 This kit includes plywood centering ring, three engine tubes and engine blocks. Clips are not included and cannot be used in this mount due to the lack of space in the BT60 tube. 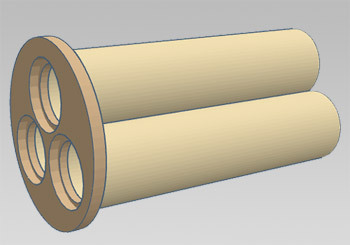 Motors must be friction fit into the tubes. Cluster motor mount kit to fit three 24mm motors into BT80 body tube. 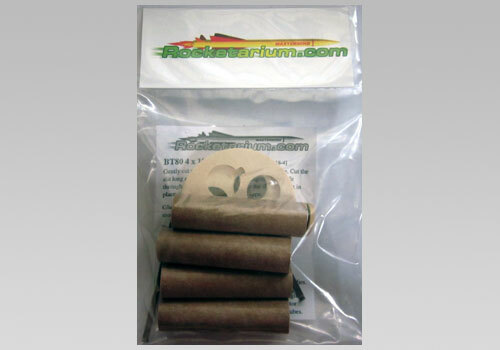 This kit includes plywood centering rings, three engine tubes, three engine blocks and three engine hooks. 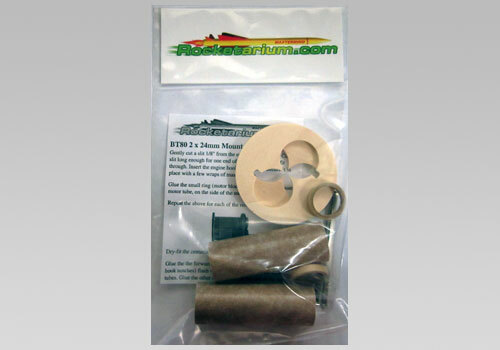 Cluster motor mount kit to fit four 24mm motors into BT80 body tube. 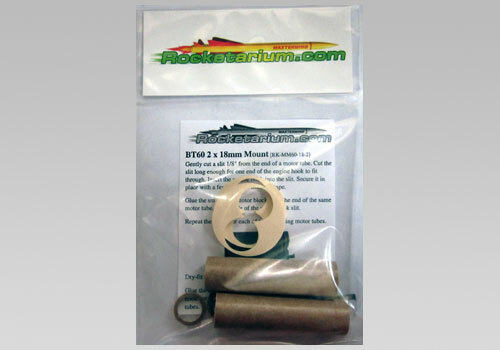 This kit includes plywood centering rings, four engine tubes, four engine blocks and four engine clips.